Excel Automation comes natural with the host of Excel Automation Actions provided by WinAutomation. Excel manipulation have never been easier. 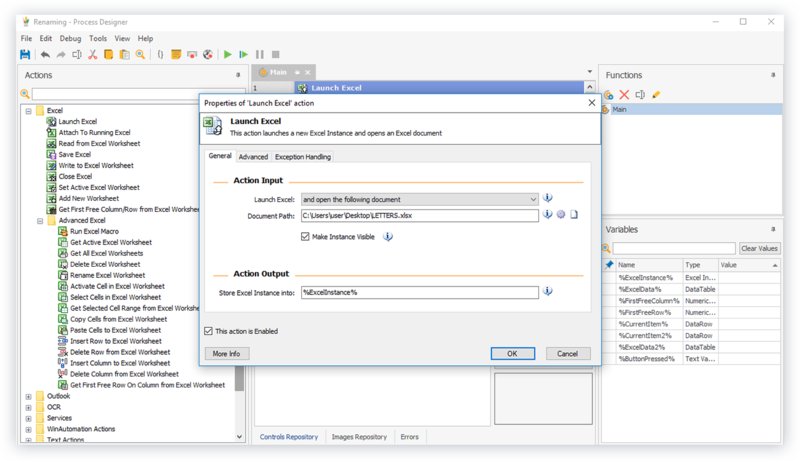 With a wide variety of Excel Actions, WinAutomation is the undisputed automation tool for spreadsheets. Read and write data, manipulate worksheets, run Excel-Macros, transform spreadsheets, apply SQL Queries, copy/paste data, insert/delete rows and columns, loop though numerous rows of data and do pretty much anything with Excel without learning Visual Basic for Excel Macros. 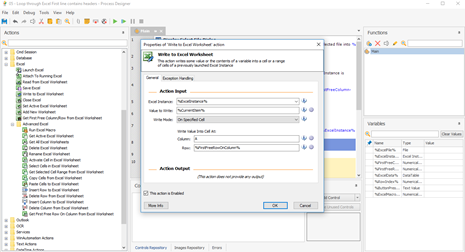 Excel Automation can be a walk in the park with WinAutomation and its Excel Automation Actions. 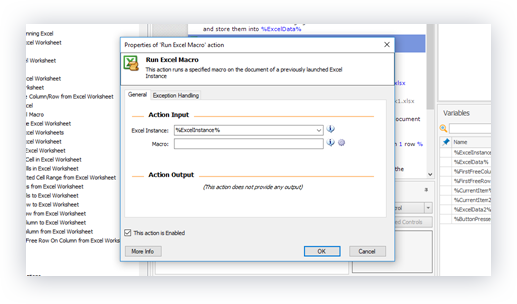 You may already have Macros in your Excel files. Well, take it one step further and automate the whole thing. You can use WinAutomation to open a spreadsheet, run various saved Excel Macros, save and close the file. Let your Excel files transform their selves without lifting a finger. When it comes to Excel, the reading capabilities of WinAutomation are unlimited. What if you also prefer Excel to be your primary data storage format when it comes to office automation? Maybe you prefer keeping Excel files than saving to Variables, databases and all the other data formats WinAutomation can keep up with – no problem, we got you covered – using the Excel Automation Actions you will be able to use Excel as your data storage anybody with an Excel viewer can read.